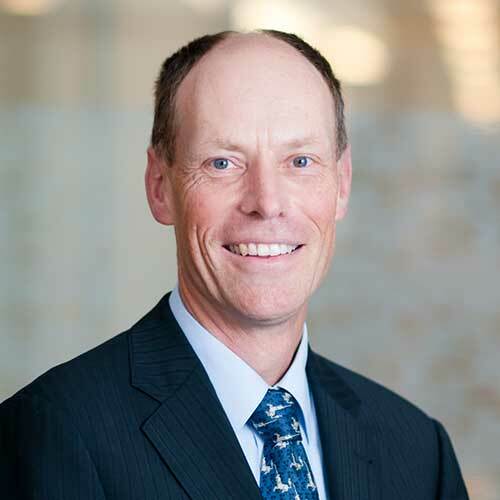 While it's often said that moving into a leadership role from within internal ranks can be more challenging for those being promoted than those left behind, Professor Paul Kofman credits his effective work as a Dean to some very good networks developed while following the path of his career. You’ve had a long and successful teaching career. When did you first know you wanted to be an economist? University of Groningen Open Day 1981. I was quite good at Economics in High School, but much preferred History and Languages. Just out of curiosity I dropped into the economics session, and got hooked on the possible careers and keen enthusiasm of the lecturers. Economics hasn’t disappointed me since. It affects everyone’s life in many ways and there are so many interesting research questions in trying to explain apparently erratic and irrational economic behaviours. As a tutor in macroeconomics, I really started to enjoy teaching – passing on knowledge that students would take into their careers, and that probably got me to think about an academic career. The research and engagement benefits of the job were a bonus. You’ve contributed to a number of peer journals throughout your career. Is there a particular piece of research you are most proud of? That would be a paper on modelling the tails of automobile insurance claims distributions. The paper uses a neat modelling ‘trick’ to better capture the salient features of extremely large insurance claims. It was a study supported by the Dutch Centre for Insurance Statistics, which provided us with a unique database (“big data” in the early 1990s) pooling all automobile insurance claims across the Netherlands. Our much improved “fit” of the data allowed more accurate re-insurance pricing, delivering real impact while also being published in one of the premier actuarial journals. 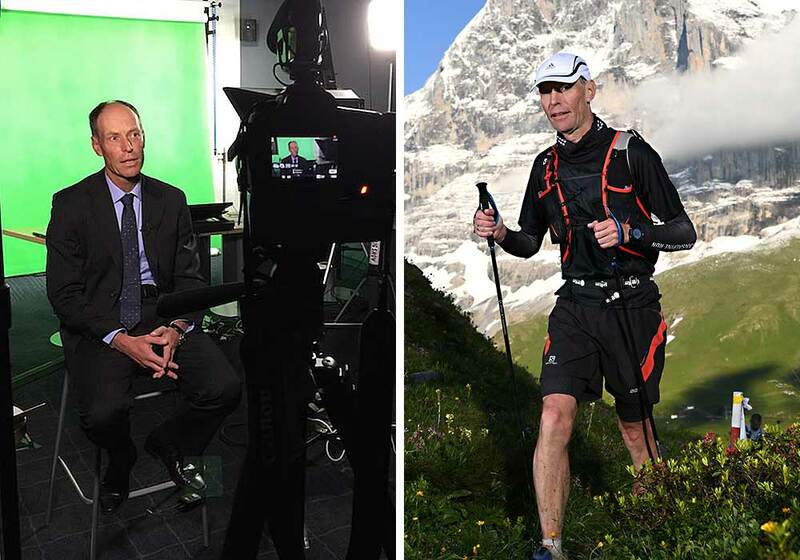 Prof. Kofman producing and filming the finance MOOC with colleague Sean Pinder (left) and running the Eiger 101 in Switzerland (right). How has the student cohort changed and what do you see as the biggest opportunities for education providers in the next 5 years? This generation seems more engaged, idealistic, and keen on international experiences. Volunteering, social entrepreneurship, and not-for-profit business consulting are becoming mainstream, which is promising for our future in an otherwise bleak political landscape. While my generation frets over jobs of the future, our current students embrace choice and are capable of adapting to new employment prospects. Of course, this generation also expects us to embrace the full scope of digital technology. Having had the opportunity to observe close-up online curriculum delivery, I’ve seen how it has the ability to enrich the learning experience, rather than replace the benefits of face-to-face delivery. The University of Melbourne has been an early adopter of MOOCs and is now leveraging the acquired knowledge to roll out graduate online curriculum. When did your passion for long distance running begin and do the sport’s mental stamina and endurance focus mirror the rigor of economic research? That would have been in my mid-twenties when I realized that I wasn’t getting any better at 400M track running. For the next two decades I ran many marathons and got progressively worse at it. Until I discovered (ultra) trail running that is pure endurance and 75% mental. You can still do that in your 50s (and 60s, I hope). The mental bit is challenging: you go from a runners’ high to increasing doubt, malaise, self-loathing and ultimately an irresistible desire to quit. When quitting is no option (because you’re halfway across the Cradle Mountain National Park), you have to slug it out by breaking the course down to small goals: for example "if only I keep this jog going until the crest of the saddle". It is generally a very supportive community, and, mostly the trip is just awesome, with magnificent views and the ability to see places you would find hard to get to. Also, all the pain is instantly forgotten once you cross that finish line.…. I will leave it to my academic colleagues to consider which parts relate to publishing in a top tier publication! And finally….you’re originally from the Netherlands. Beyond clogs, cheese and windmills what would be your secret insider tip for those looking to travel there? It has to be cycling. There is none of the occasional traffic aggro we encounter here, but respectful sharing of the roads. 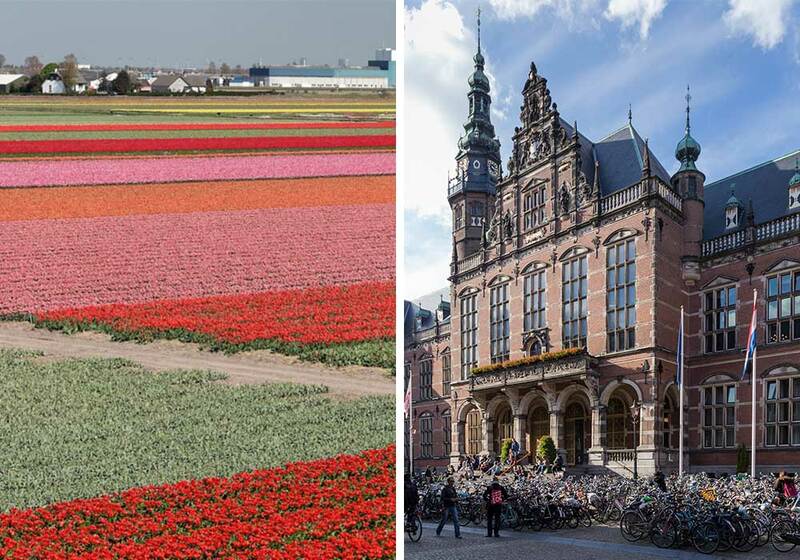 For tourists, my top experience would be to rent a bike at any railway station nearby Amsterdam and to enjoy the extensive tulip fields in full bloom (April). It’s like a massive quilt of acres of purples, reds, yellows…and you can just pedal along (just hope it’s not windy). April tulips in Holland (credit: Holger Wulschlaeger) and the University of Groningen home to Prof. Kofman's economic career inspiration (credit: JoachimKohlerBremen via Wikimedia Commons).